They used to have one stall in Pavillion mall, but now they already closed down (maybe not so many people interested in cupcakes 🙁 ). Now they only have stall in The curve and Sunway Pyramid. Their cupcake’s texture is nice, and the way they put the icing is nice, and the icing is not too sweet nor too bitter. My favourite cupcakes in here is called “Othello” basically it’s just a chocolate cupcakes with some chocolate sprinkle above it, and white icing to cover the cupcakes. The other cupcakes that I like is called “Red Velvet”. Yeah, not just because my favourite colour is red, but this red cakes is just delicious. 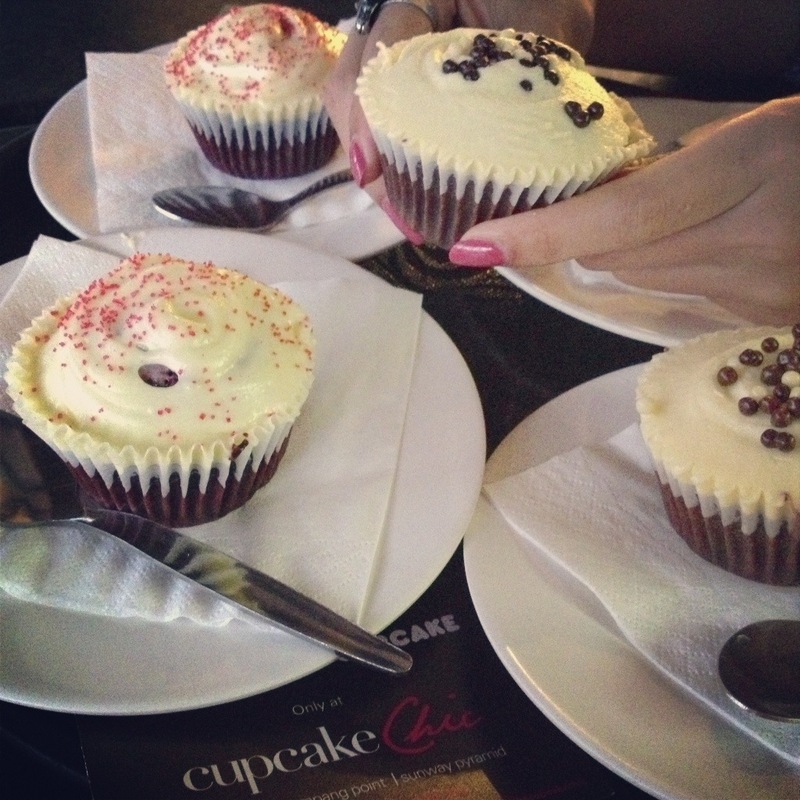 For the price, one cupcake is cost around RM5, and but the size of their cupcakes makes it considerable for that price. One Response to "Cupcake Chic"